Star2Star Communications, the World's Leading Hybrid Cloud Communications Solution, today announced that the company is a winner of the 2017 Internet Telephony Magazine's Unified Communications Product of the Year Award. 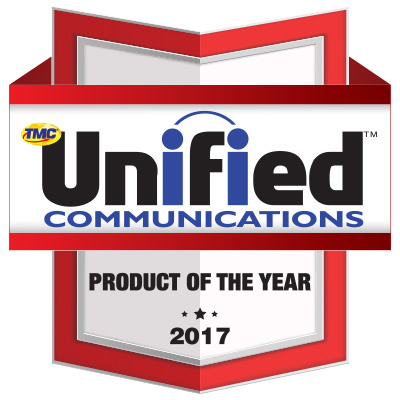 The award honors the best, most innovative unified communications products and solutions released in the last twelve months as judged by the editors of TMC's INTERNET TELEPHONY magazine. "It's an honor to win this award again this year," said David Portnowitz, CMO at Star2Star. "We recognize that unified communications is the future of business, and we continually strive to provide our customers with the most robust and cost effective feature suite. This award truly validates what we've accomplished over the past 11 years," he continued. Star2Star is a leading innovator in the Unified Communications industry and continues to champion advanced technologies. In the last 12 months, the company has released several major products, and additional solutions are planned for 2017.